Two Amazing Shows to choose from! “It don't mean a thing if it ain't got that swing,” and The Swing 'N' Sisters have got it all; beauty, harmony, dazzle, style, blend, and pure showmanship. Dressed to their part in costumes and hairstyles reminiscent of the '40s, The Swing 'N' Sisters croon in the smooth style made famous by the Andrew Sisters, Maguire Sisters, Lennon Sisters, and many more. Their smooth blend shines through their dazzling personalities. Ask for “Boogie Woogie Bugle Boy,” “Mr. Sandman,” or “Lullaby of Broadway” and with a finger snap or two the trio will break into a rich three-part harmony. 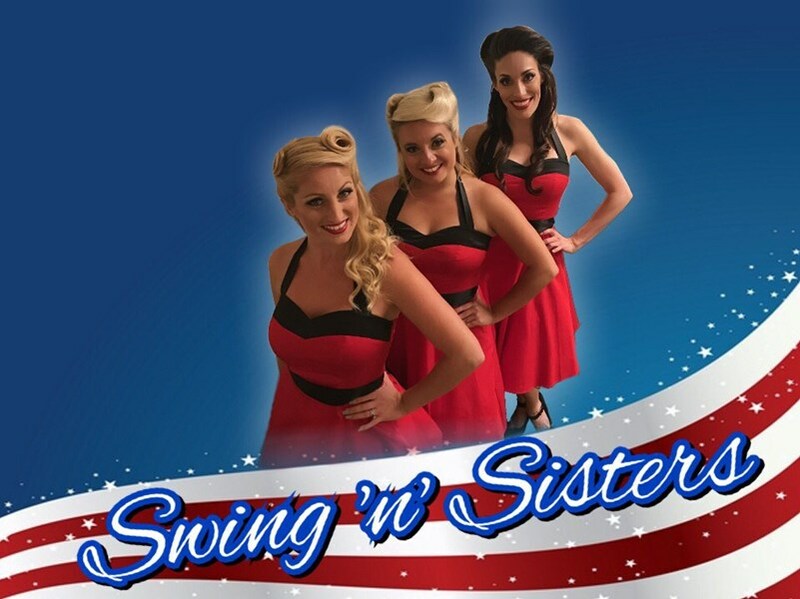 The Swing 'N' Sisters have performed for Universal Studios Florida and Walt Disney World in Orlando, as well as for corporate clients across the nation. They have appeared with The Count Basie Orchestra, Duke Ellington Band, and at private parties for Van Cliburn, among others. 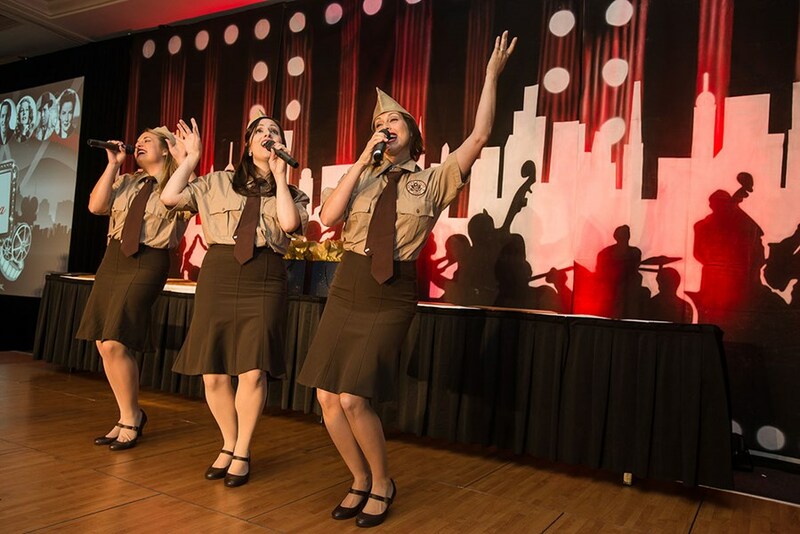 The Swing 'N' Sisters will stroll from table to table or group to group, performing a cappella. On stage, they can provide recorded taped accompaniment with the sounds of the “Big Band” era. 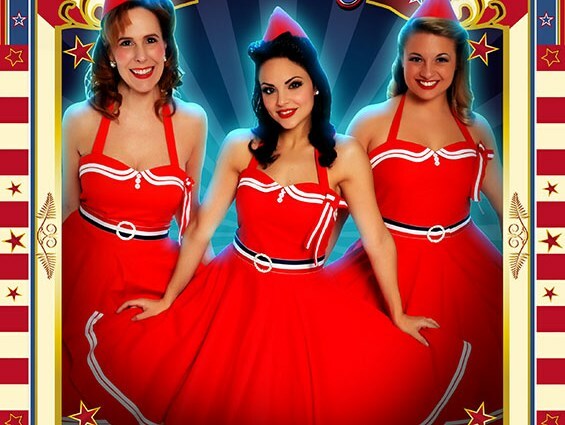 In addition, The Swing 'N' Sisters carry complete musical arrangements for performances with a live orchestra, band, or small instrumental combo, piano, bass, and drums. The Swing 'N' Sisters fill your next event with the harmony of days gone by. This amazing trio sings the hits of the Girl Groups from the 60's – today! Groups like the Shirells and Supremes to The Bangles, The Go Go's and Postmodern Jukebox! Please note Swing 'N' Sisters will also travel to Winter Park, Lake Jem, Maitland, Goldenrod, Altamonte Springs, Clarcona, Fern Park, Gotha, Casselberry, Ocoee, Windermere, Apopka, Longwood, Winter Springs, Winter Garden, Kissimmee, Oviedo, Oakland, Lake Mary, Plymouth, Chuluota, Killarney, Sanford, Zellwood, Montverde, Lake Monroe, Saint Cloud, Ferndale, Intercession City, Sorrento.